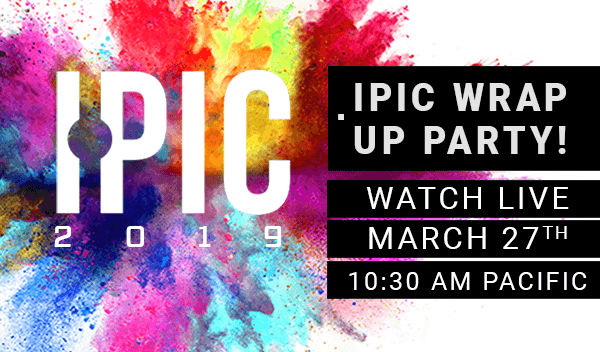 JOIN THE IPIC 2019 WRAP UP PARTY! IPIC 2019 may be over but that doesn't mean the education has to stop. Join us LIVE as we give you a break down of all the IPIC education you and your team should be watching. Learn where you can find the University breakout and Live Learning general session recordings and all other IPIC resources! Bring your notepad because we're going to drop all the knowledge.